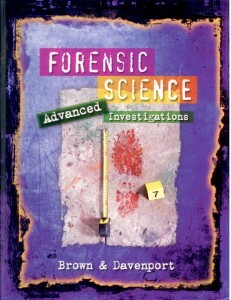 With more and more students turning to forensic careers, some high schools are now offering advanced courses in forensic science. 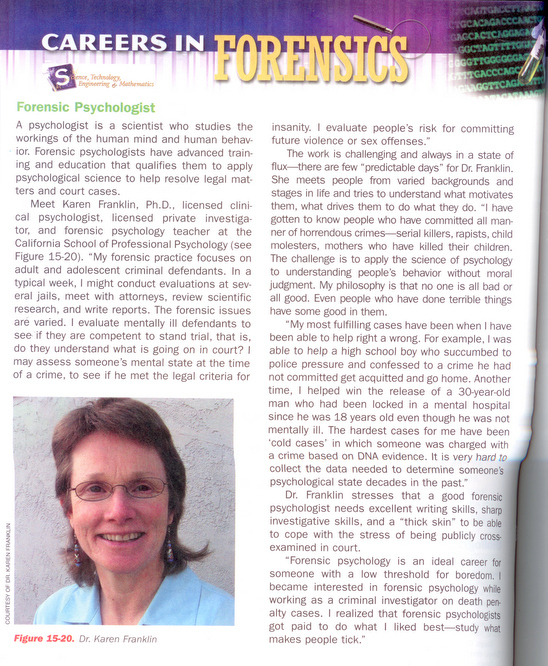 In its 2012 high school textbook on advanced forensics, Cengage Learning highlights the career of a forensic psychologist. 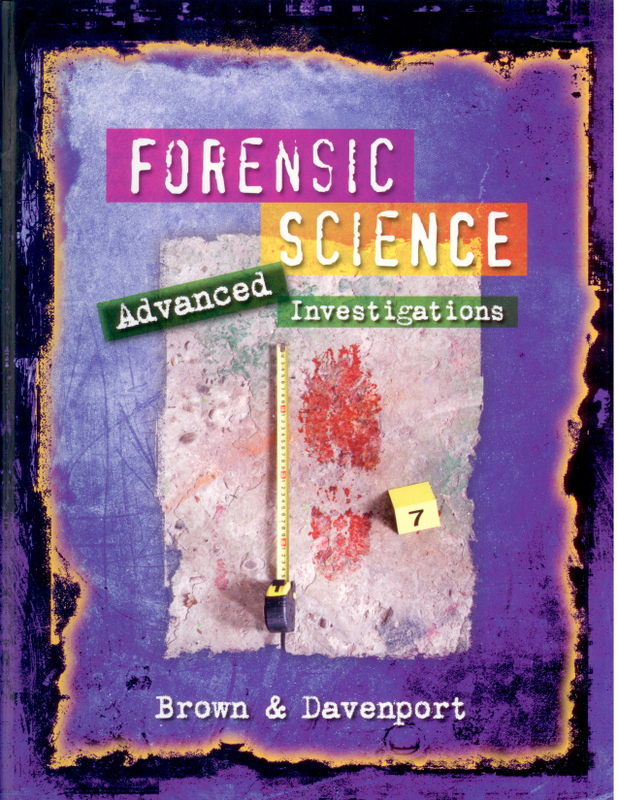 It’s rather ironic that they chose to profile me in the chapter of Forensic Science: Advanced Investigations on criminal profiling, given that I’ve been publicly critical of profiling. 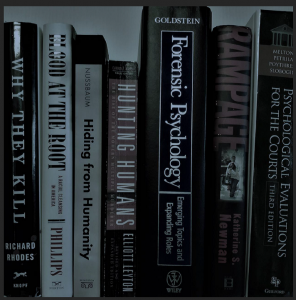 But I must admit that I was pleased with the way the essay turned out.